Today on the Music Room, we talked to Jessica Graae, a folk singer and songwriter whose latest album, Sea Dream, was released November 2015, and who performed its song “Sea’s Siren” on December 5, 2015, at the World Café in Philadelphia, PA. Operating from Philadelphia along the Eastern coast from Maryland to New York City, she has won 6 2013 WSTW Hometown Hero Homey Awards nominations, the 2013 Philadelphia Folk Factory contest, and placed as a finalist in the 2012 and 2014 Delmarva Folk Hero contests. Her guitar music juxtaposes the dark, haunting, and even psychedelic with the lyrical and wistful, with similarities to the work of Jill Andrews, Sarah McLachlan, and Sufjan Stevens. Her singing voice, described as “angelic,” also bears resemblance to that of Joni Mitchell. After all, Jessica Graae has an extensive singing career in classical music ranging from opera to musical theater and sacred music, and has offered vocal lessons for over 20 years to singers of all levels and styles, including actors. She is a member of the NATS (National Association for Teachers of Singing), and also performed the song “Wait by the Water” for the 2013 independent film “Yes, Your Tide is Cold and Dark, Sir“. 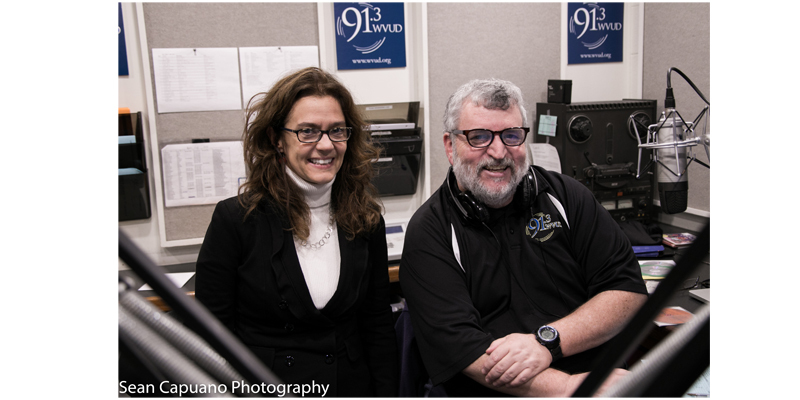 For a chance to hear her music, click on the link below for her radio performance here at WVUD, and for a live performance, she will be performing on Saturday 12/19 at 7pm at the Bus Stop Music Café, Pitman NJ, and Sunday 12/20 at 7pm at Andrea Clearfield Salon, Philadelphia, PA.
Today on The Music Room, our guest Donna Ulisse confesses she may be something of a workaholic. Well, she’s certainly keeping herself busy. Tomorrow, she has a photography session with Bryan Sutton for their new album, and will pick up a copy of her new book, The Songwriter in Me, from the press. Given the prevalence of her own lyrics in that book, she is making a 24 song CD to include with its release, and is spending 2 hours a day composing an accompanying workbook. She has an upcoming songwriting session with Jerry Sally, and in July will continue her monthly collaboration with Songwriting Escape, spending three days in July, September, and October in Yorktown, VA, Texas, and Chicago, respectively. 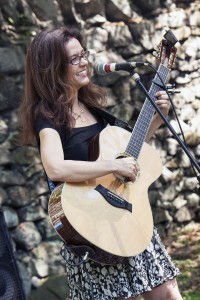 She’s also touring with her band The Poor Mountain Boys, and continuing to write songs. Hailing from Nashville, TN, she says her hometown is not complete without its songwriters, and even her husband, Rick Stanley, has helped her co-write multiple songs, including “Wilma Walker,” based on a billboard the two saw, and prompting a discussion on titles, pronunciation difficulties, and how Doyle Lawson gets hug-tackled. Her 2013 album Showing My Roots explores the various musical influences on her career, and we even delve into her past as a 1990s “country diva,” exploring her challenges, regrets, triumphs, and eventual shift to bluegrass and gospel. So we are certainly grateful that she could appear on the show today, and we are very excited to hear that she is coming to DE for the first time…this Saturday, March 21st, at Crown Plaza Wilmington North, for the Wilmington Wintergrass Festival: 2 shows at 2pm and 8pm and a 90 minute songwriting workshop at 3pm open to anyone with a paid band. Take a little time from your schedule, and come check it out…you won’t regret it! (Recorded live 3/17/15; host: Mandorichard), 31:12, 30.0 MB. And by 2011 have started touring the continental US as a family bluegrass group. Not so familiar then. 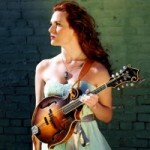 Today on the Music Room we talked to Sarah Harris, a “ray of sunshine” from Callahan, FL and lead singer and mandolinist of the Trinity River Band. The Trinity River Band is a bluegrass/gospel group that incorporates various genres into their music, including Irish American folk and 80s rock. For this versatility, they have earned worldwide radio broadcasts, and “Better than Blue,” from their eponymous 2014 album, peaked on the Bluegrass Today Weekly National Survey at #4. Within that album appears Sarah’s song “Pure Poison,” which she wrote for her brother John, the group’s banjo player who also wields a variety of musical instruments. We also spoke with Sarah about the influence of gospel on country, traveling on the road as a family, her appearance on Alex Rutledge’s TV show Bloodlines, and Brianna, the youngest member, who plays the fiddle and turns 13 tomorrow. All the best! Be sure to stay posted; they tour the Northeast this summer, and their new album Heartstrings comes out this May. (Recorded live 02/24/15; host: Mandorichard), 29:59, 29.3 MB.